Let’s face it; most of what we eat during Thanksgiving isn’t exactly healthy. While turkey is lean meat, if it’s fried, it makes it, well, a lot less healthy. Plus, if you top it off with cranberry sauce, then your turkey suddenly turns into more of a dessert food than anything else. Because a lot of what’s on our Thanksgiving tables isn’t necessarily good for our teeth, we have created a list of ways that you can keep your smile healthy both during and after your big feast. 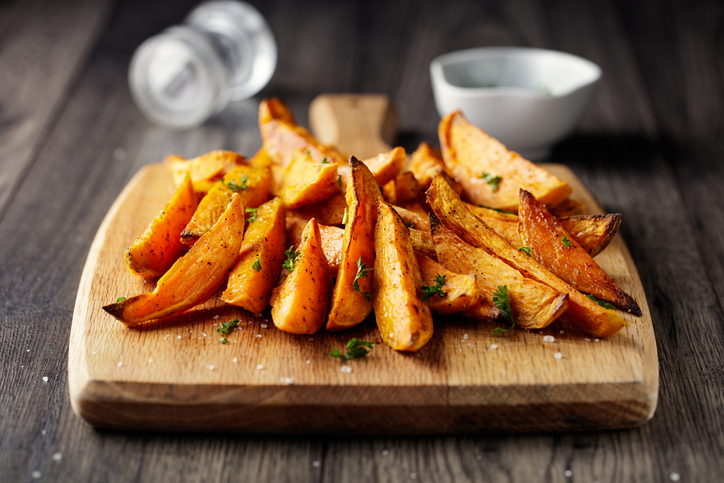 Did you know that sweet potatoes are actually really good for your gums? 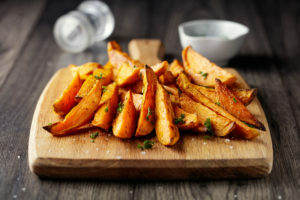 Because sweet potatoes are loaded with both Vitamin A and Vitamin C, they promote good oral and gum health. Additionally, side dishes like Macaroni and Cheese that have a lot of cheese and cream in them are high in calcium which promotes strong teeth. To really take care of your smile, try loading up on these foods over Thanksgiving. Rather than drinking soda or wine with your Thanksgiving dinner, try drinking water instead. Water helps to speed up your salivary glands which work to get rid of plaque and tartar on your teeth naturally. Plus, water itself can wash away germs and sugar on your teeth to reduce your chances of getting cavities. Pieces of turkey getting stuck in between your teeth and the sugar from cranberry sauce are two reasons alone why you should make sure that you both brush and floss after you eat Thanksgiving dinner. By getting rid of all of the sugar, germs, and bacteria on your teeth sooner rather than later, you can help to prevent against cavities and other oral issues. Eating Thanksgiving dinner doesn’t have to be all that bad for you. To learn more about ways that you can take better care of your teeth and smile, schedule an appointment with Dr. David Sorenson at our Ponte Vedra Beach office today and give us a call at (904) 395-7771.